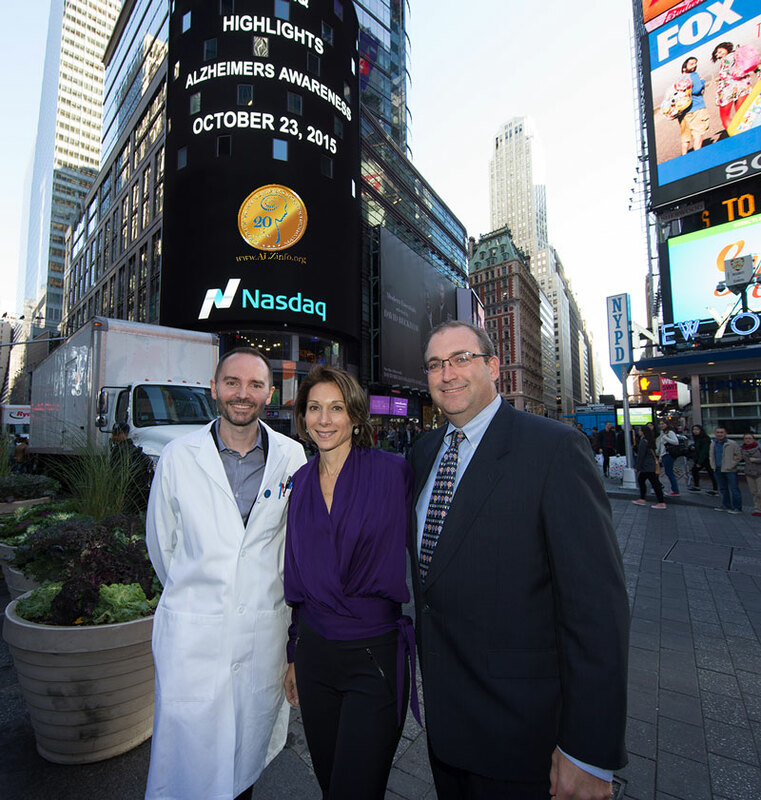 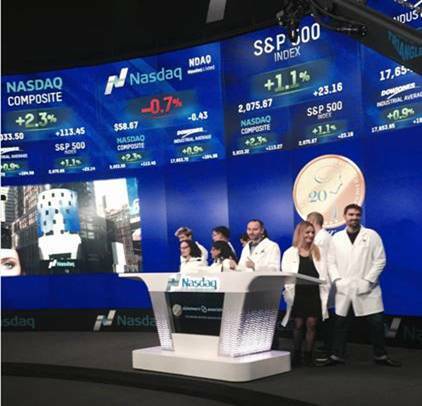 In commemoration of the Fisher Center’s 20th Anniversary and Alzheimer’s Awareness Month, we were thrilled to participate in NASDAQ’s closing bell ceremony in Times Square. 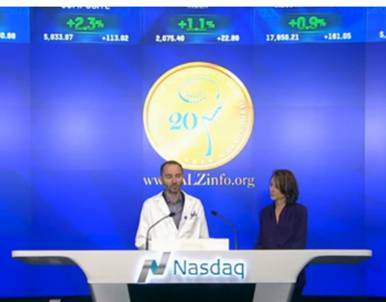 Dr. Marc Flajolet, Assistant Research Professor at the Fisher Center for Alzheimer’s Research at The Rockefeller University, rang the bell, made remarks about the Fisher Center’s 20th Anniversary in the quest to find a cure and raised awareness of the importance of continued research funding. 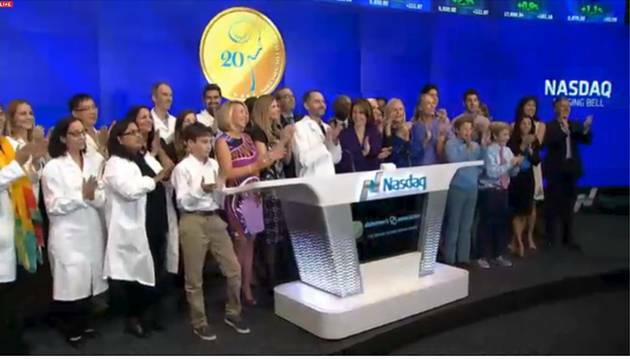 Outside of the building, our 20th Anniversary logo was displayed on NASDAQ’s screen in Times Square, seen by thousands of people.